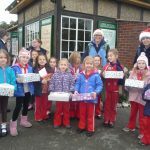 Dozens of Rainbows and their leaders from several Rainbow Units enjoyed a day at The Isle of Wight Steam Railway, Havenstreet last week. 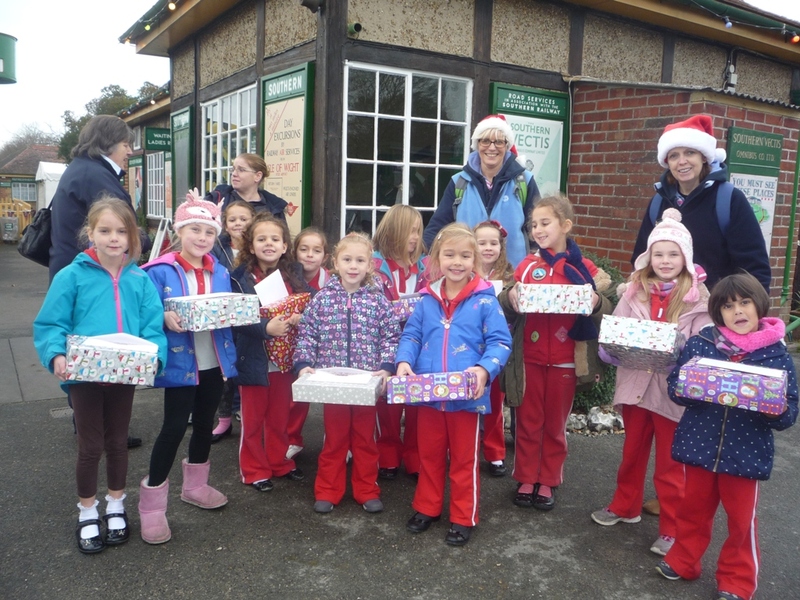 They were joined by a few Brownies who also joined in the fun day. 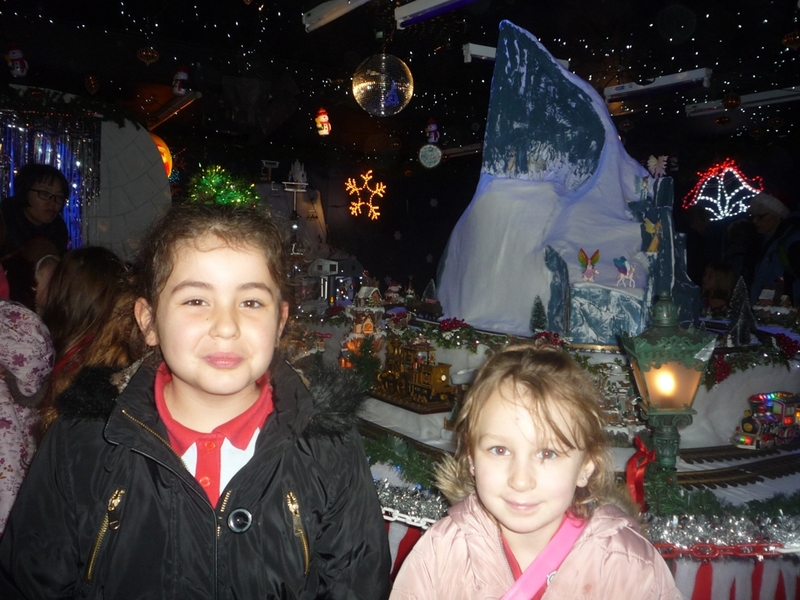 As well as a ride on the railway there were plenty of activities to entertain all the visitors to this popular tourist attraction. 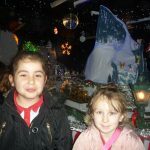 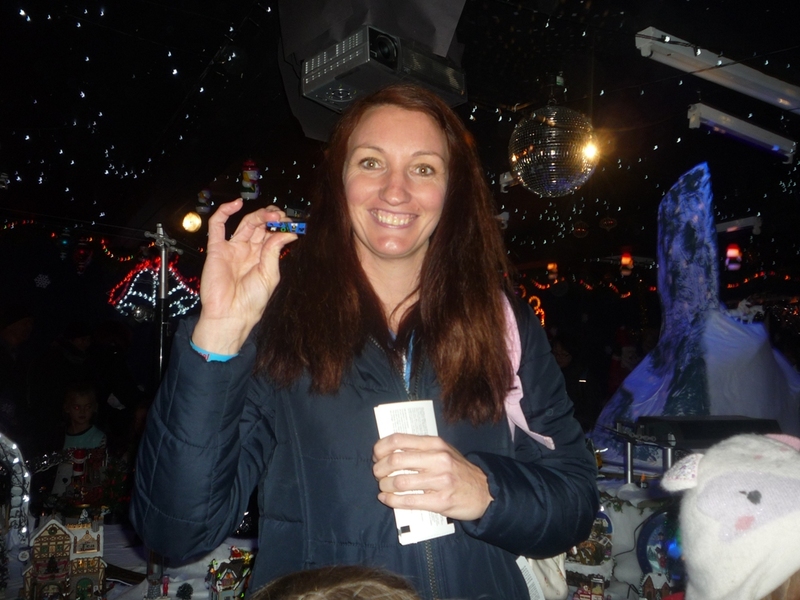 With the Christmas grotto filled with twinkling lights and snow scenes, stalls and a ride on the carousel and a magic show from Huxley Magic all the girls had plenty to occupy them. 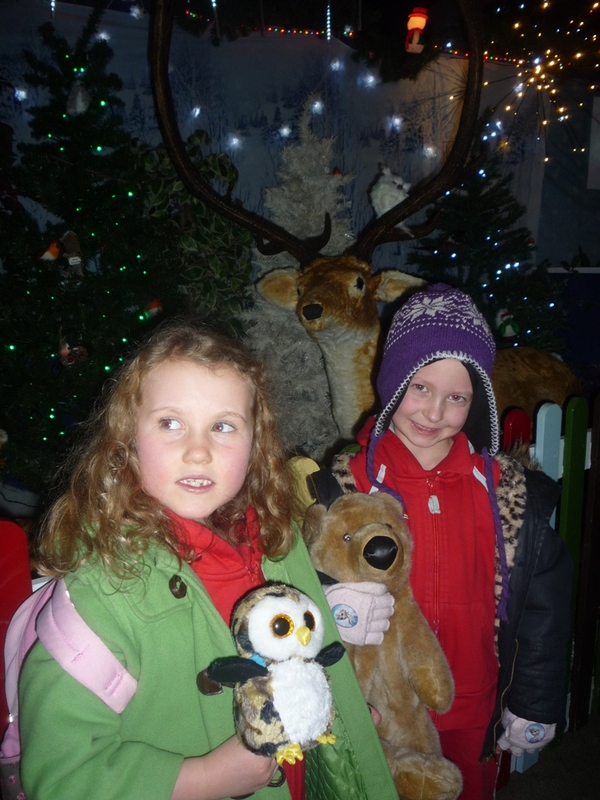 However, one of the most exciting events of the day was a visit to Santa’s Grotto where Father Christmas and his helpful elves were on hand to give out Christmas presents to all the Rainbows who had been good. 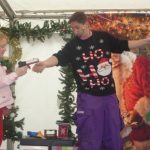 More exciting events followed when one Rainbow was asked to help out Huxley at the magic show, and two members of Girlguiding IW received special awards. 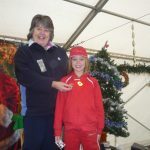 Presented by Island Commissioner Lesley Clifford one award, an Island Standard, was presented to Rainbow leader Emma Cooke for her volunteering with Girlguiding IW. 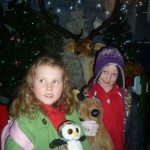 Following a successful charity event (see Amelia Helps Charity) Amelia Churches was presented with an Island Award (girls). 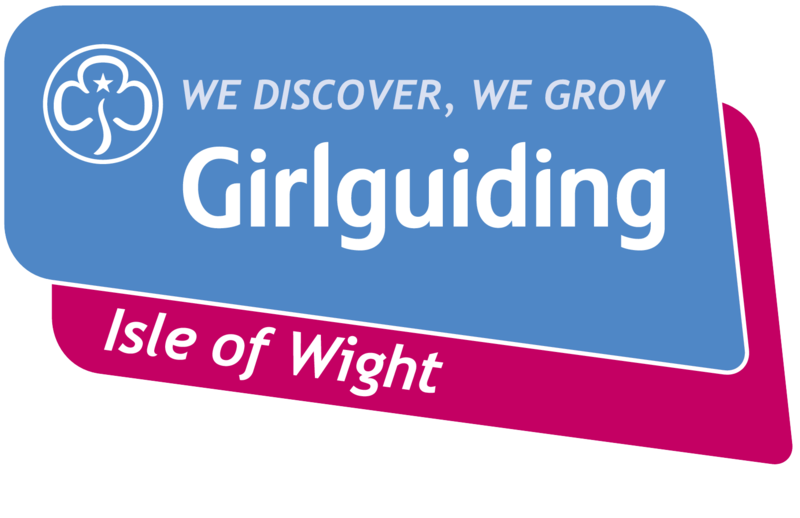 This award is given when a Rainbow, Brownie or Guide has undertaken a special task or helped the general community in some way. 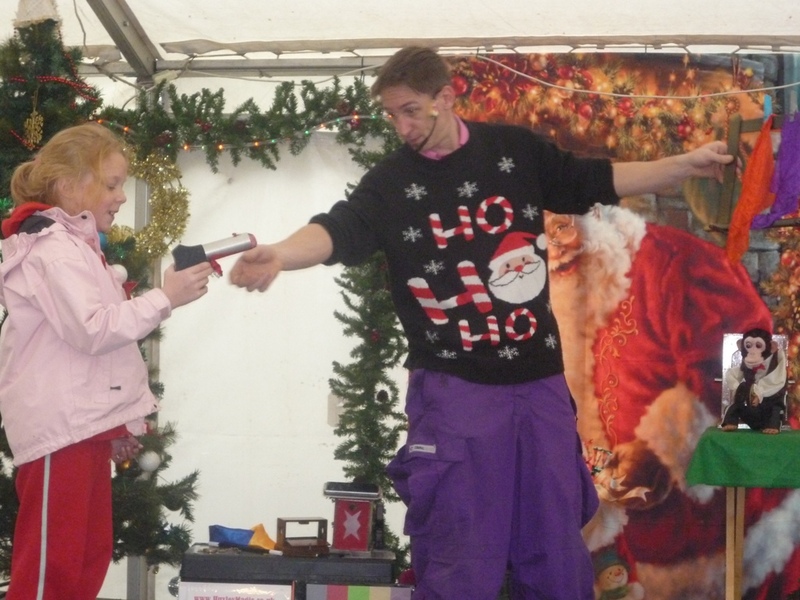 Lesley explained to the audience at the magic show how Amelia had raised the money for her chosen charity. 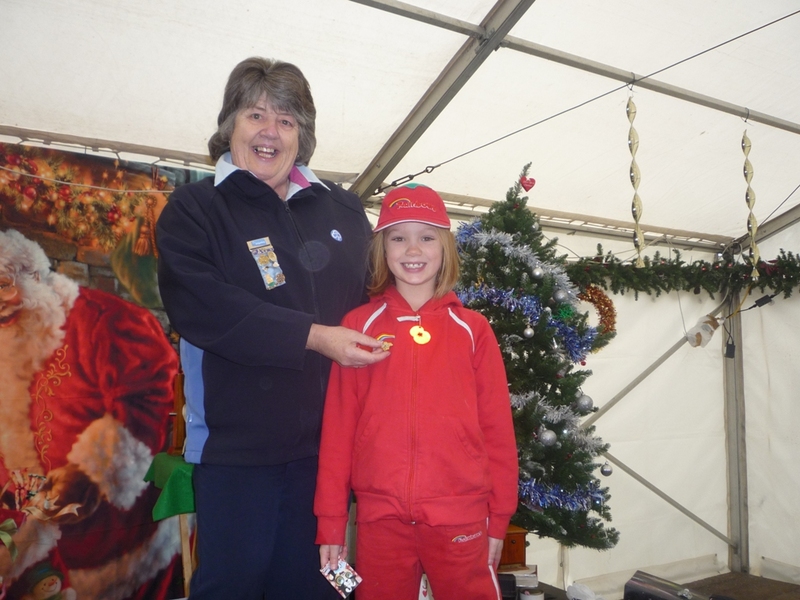 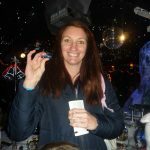 As well as being presented with her badge by Lesley, Huxley managed to conjure up a lollypop that somehow appeared behind Amelia’s ear!